After receiving a diagnosis of PCOS as a late teen, and being told that “pregnancy may be difficult” Joanne did struggle to conceive. Her difficult emotional journey ended with two beautiful and healthy children, but when her close friend started having fertility problems, it prompted her to take Action. Exploring the connection between the mind+body, as well as the direct connection between stress and hormone balance and ultimately fertility, she had the idea of creating a daily relaxation program that tracked to the monthly cycle. Given the fact that our bodies are changing every day throughout the month, a physiological daily guided visualization made complete sense to her. This lead Joanne to create Circle Bloom! In today’s show, we talk about the mind/body connection to fertility, and how fertility can be improved through stress reduction, guided meditation, and visualization. Why is visualization so powerful for fertility? Why is the placebo effect all but completely ignored by our medical system and our culture? What does the science actually say about visualization and meditation? 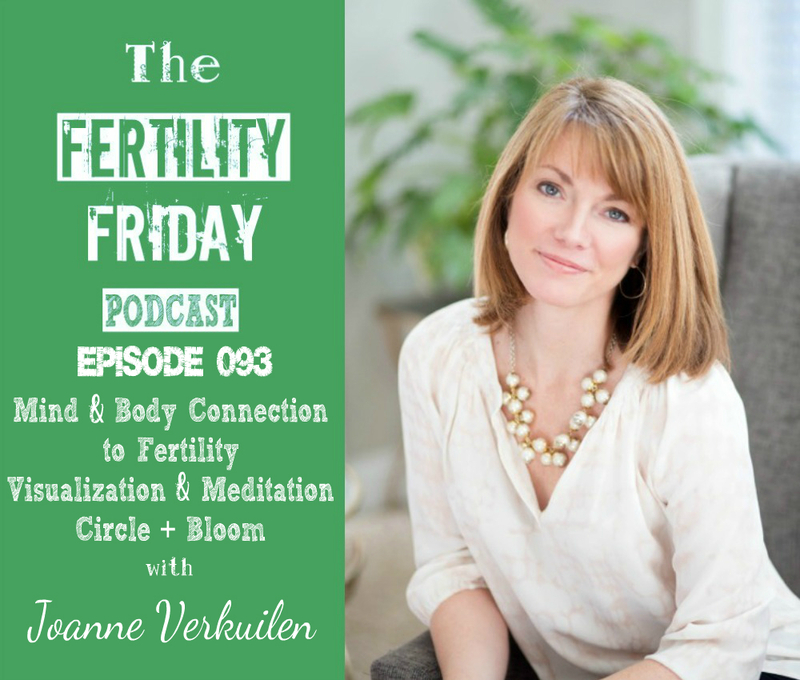 Circle + Bloom has created a special offer for the Fertility Friday community! Click here to receive 20% off Circle + Bloom products! Make sure to use discount code: FertilityFriday at checkout! Another homerun episode! I’ve really been getting into mind-body medicine lately but was stuck as to how to apply it in my life, especially in regards to fertility. I didn’t even know it, but Circle & Bloom was just what I was looking for. So grateful to learn about this! Joanne was very engaging too.